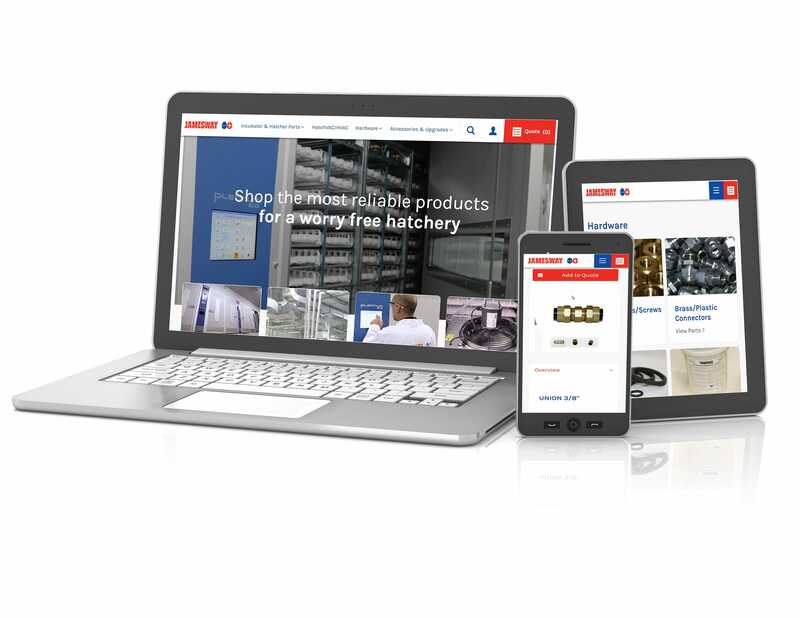 Jamesway is very pleased to announce the launch of its online parts website. A large team of Jamesway staff has spent many hours imagining and implementing an online solution to the complicated process of quoting and ordering parts. Now hundreds of parts are online and can be easily accessed from a computer, handheld device or tablet. The site offers all Jamesway’s clients product information and graphics, a quote request tool, and access to ‘My Account’ with value added features such as saving a favourites list, viewing quote request history and more. 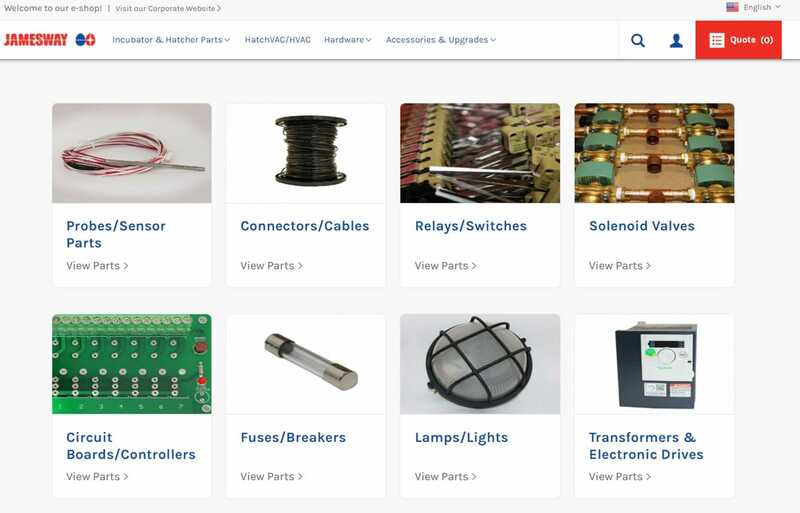 Search for products by part number, keyword or use our machine category tree to narrow it down. Currently available in English and Spanish. To check it out go to www.jameswayparts.com or go through our corporate site to the link in the upper right corner. www.jamesway.com. Jamesway is the reference incubator company for the global poultry industry. We plan, design, install, and maintain incubation and ventilation systems for hatcheries, offering the most reliable products and worry-free customer services on the market. Founded in 1890, we have evolved into an international company with facilities in Canada, USA, China, and Russia that service over 1800 customers in 150 countries.